Once upon a time, in deepest darkest Africa (Southern Uganda to be exact) there lived a husband and wife who were among the first Ugandans to be trained as Primary School teachers. They named their fourth child Conche. She, with her ten brothers and sisters, lived an idyllic life in their small village of Kisubi, playing together in great freedom with their many friends and being looked after by all the grown-ups around. After many adventures in adulthood Conche arrived in the USA and from there, when her children were older, she returned to her country from time to time and taught the village women how to put together a business plan and run a small business. These women became less dependent on their husbands and were able to send their children to school and provide other small necessities. Then AIDS struck. On one of her visits home her mother said to Conche: ‘You have to organise something’. She knew the growing number of orphans needed to stay in their homes among familiar people. She knew that if they left their land they would have no means of keeping themselves when they were older. She knew all the needs of these orphans must be provided for if they were to thrive. 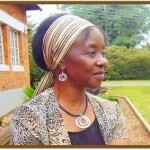 After much thought and discussion she conceived a plan which later became Bega kwa Bega. She had raised money in the US and in 1999 invited volunteers from the UK and the US to help provide clean water tanks for families of orphans, work with the children and teach the women some skills. 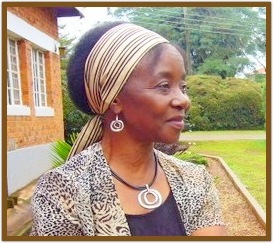 This was in her home village of Kisubi. While working in this village, a delegation came from a neighbouring village to ask if we could help them. At first Conche said no. After several representations Conche relented. On entering this neighbouring village we found all the villagers had turned out to meet us. This was the first intimation of how badly help was needed. The aftermath of Idi Amin’s reign of terror and the civil war had devastated whole swathes of the land and its peoples, and now there was AIDS. Over the years requests for help have poured in from dozens of villages. Wakiso district was chosen as the main focus of the work as it had been so adversely affected over the previous years. During that first visit, a Manager was appointed, David Ssagala, who together with Conche, has worked tirelessly ever since and built up Bega kwa Bega in Uganda to what it is today. We now work in over 200 villages in 10 districts. Those who receive training act as peer educators, taking their skills to their own villages and beyond. This has been made possible by those in the UK and the US who support BkB with the funds needed to carry out the work. The thrust for the future is towards BkB becoming financially self-sufficient. A large private, revenue-generating primary school will produce enough income to pay for much of BkB’s work. This will be a centre of excellence where Professional Development will be available for teachers and orphans and other children will receive an excellent education. This is happening now in Conche’s small Nursery School and the Nursery School at Gogolo set up at the request of parents. These schools are seen by the Ministry of Education as models for their plans to improve the quality of education in the country. We have set up a Play and Learning Centre: at Gogolo which opened in late 2014, it’s purpose being to earn revenue for BkB, our first step towards becoming self-sufficient. Here children come to have fun, play, party and socialize. Adults accompany the children and also arrange functions. : family gatherings, graduations, company reunions . . .